Whether you incur moisture issues in your home due to a plumbing malfunction or harsh weather conditions, you can count on our water damage Maryland Heights experts at 911 Restoration Saint Louis to get your home up and running again in no time. In order to have the best chances of achieving a complete and successful home restoration, it is important to get our water damage Maryland Heights professionals to your home within 45 minutes. Providing you with same day services is our priority for all water related emergencies, so call our water damage Maryland Heights team today! Even though our water damage Maryland Heights experts are able to get to your home quickly at all hours, it is still important that homeowners understand how to implement a temporary patch on a leaks in emergency situations. 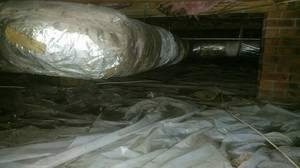 Remove any wet insulation in the attic. Put plywood across the joists and place buckets on top to catch any leaking water. If you can locate the source of the leak, try to pinpoint it. It may be far away from where the water is dripping inside. Create a temporary patch using plywood or roofing tar. You can use a knife to push it into the leak to stop the flow of rainwater. Do not go on the roof during the rain storm, and wait for us to arrive to alleviate the damage. Our office stays available 24/7/365 so service agents can dispatch repair workers to your home immediately. Call us as soon as you notice water dripping into your home and our water damage Maryland Heights professionals will conduct a free home inspection immediately upon arrival. When you need fast flood remediation service, you can call the licensed, bonded and insured Maryland Heights operation and we will ensure that you will have access to the most capable hands in the industry. Along with offering top notch home restoration, we also make an effort to make sure every homeowner is give the utmost care and attention. Providing you with excellent customer service is one of our top priorities, because we understand how overwhelming a water disaster can feel. The financial side to the renovations definitely contribute to this stress, so we consistently offer affordable prices and guarantee to work with all insurance companies. Let us help you keep your out of pocket expenses to a minimum. 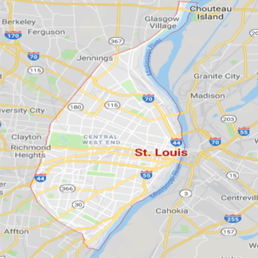 Call our water damage Maryland Heights technicians with 911 Restoration Saint Louis and we will file your insurance claim for you today!